I’ll start this review with a brief (SPOILER ALERT) plot summary of “Inferno”. The title of the book itself is a reference to the well-known trilogy entitled The Divine Comedy (a.k.a. 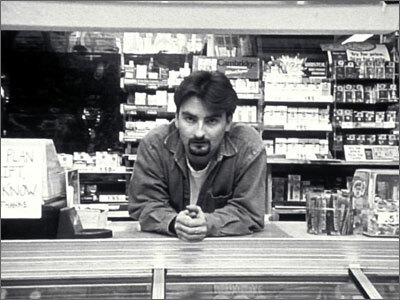 Clerks I – III) wherein the main character, Dante, constantly complains about his station in life whether as a convenient store clerk (Clerks I, or Inferno), as a fast food manager (Clerks II, or Purgatorio) or at whatever lamentable job he’ll inevitably have in the upcoming Clerks III, (or Paradiso). As one would expect Dante plays a key role throughout the book but, unfortunately, his sidekick Randal has been left out completely. In my opinion this was a grave error by Mr. Brown as everyone knows Randal is a more likeable character than the ever-whining Dante. I’m not even supposed to be in this book review today! Getting back to the plot though…Like previous Dan Brown books (SPOILER ALERT: “The Da Vinci Code”, “Angels in the Outfield” and “The Lost Little Black Puppy – An Elmo Adventure”) much of the plot revolves around symbols that reveal clues which in turn reveal the secret to some great mystery like why Kevin Smith’s films aren’t nearly as good as they used to be. Interpreting these symbols and ultimately solving the mysteries is Dan Brown’s loveable character and Harvard Professor, Tom Hanks (played by Robert Langdon in the book). 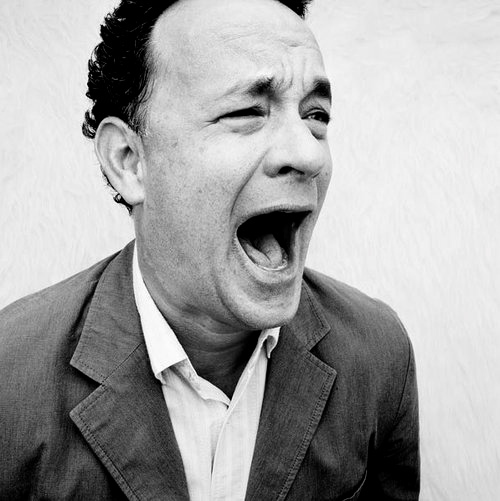 The dose of realism that Hanks adds to “Inferno” is refreshing, however, (SPOILER ALERT) I must admit that the ending had even a simpleton like myself wondering how Dan Brown could have possibly expected his readers to suspend their disbelief to such a degree. Here’s what I mean: Does Dan Brown really expects us to believe that Tom Hanks can survive on an island with just a volleyball to keep him alive only to be rescued by a shrimp boat-driving Lieutenant Dan just in time for Tom to join the ill-fated Apollo 13 mission, all while actually (SPOILER ALERT) being a 12 year-old who was turned into a grown-up by a fortune-telling machine that he came across while suffering from insomnia in the Pacific Northwest somewhere? The answer, I’m afraid, is: (SPOILER ALERT) Yes. 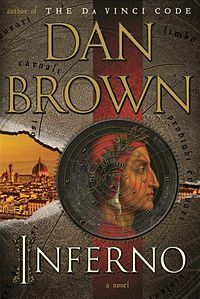 Despite such a convoluted ending I found Dan Brown’s “Inferno” to be a book worthy to write a review about and I hope that you will too.